The washed Linen Bedding in the picture above is from Cox and Cox in Vintage Rose, who incidentally have a weekend event with 25% off until Sunday. I also love this one below from Cox and Cox in Soft Grey. 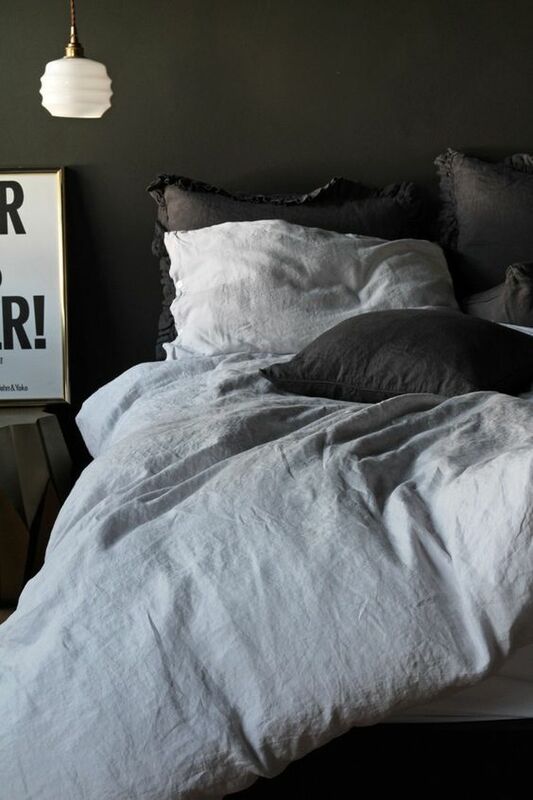 Rockett St George have introduced a duluxe collection of bedding into their range, which look luxuriously gorgeous, see this one, Lisbon Soft Linen Duvet Cover, Silver Grey. Love this too, Lisbon Soft Linen Duvet Cover, Rose Pink. Really love the mix of the Rose Pink and Charcoal, really cool. Love. Piglet in bed have got it covered with their Bedtime Bundles. The Linen Works, I really like this Parisian Blue number. This looks super cosy. So what do you think? I happen to love the rawness of it and the fact it can look slightly rough around the edges and a little creased but I do appreciate it may not be everyones cup of tea.